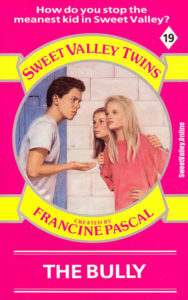 The perfect tag for when you’re nearly 100 books in and the Jamie Suzanne of the week tries to convince you that the twins and their friends have ALWAYS done this, visited there, met here, etc, but you know otherwise. 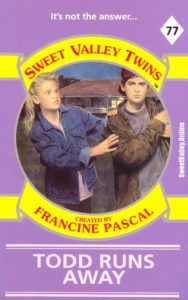 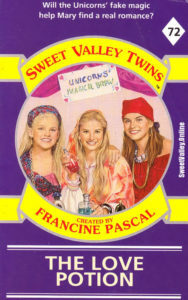 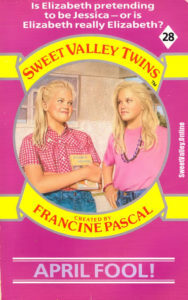 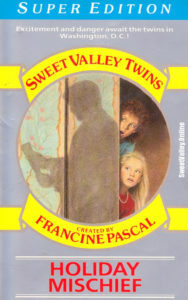 Wing recaps Sweet Valley Twins Super Edition #2: Holiday Mischief, in which there are spies, disappearing ink, and the most inept choral leaders on the planet. 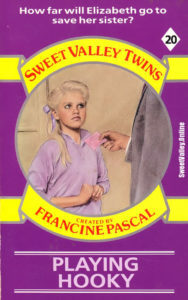 Dove recaps Sweet Valley Twins #19: The Bully, a book she loves the idea of, but loathes the execution of.